Today I am doing a review on my September Ipsy review. Ipsy is a monthly beauty subscription box service. They send you 5 deluxe or full-size products, plus a makeup bag. It’s one of my favorite subscriptions, I tend to always love at least one thing (if not more) and the price is awesome ($10 monthly plus free shipping). Ipsy also have coupons codes if you want to purchase any of the products featured in this month. Not everyone gets the same products. Each month they have different types of products (this month they had 18) plus you never get a repeat. 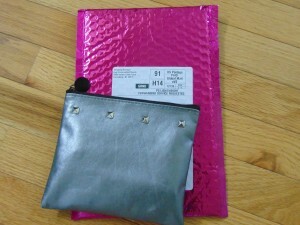 Ipsy has monthly themes, this month its “street style” which is how I consider the makeup bag, it’s sliver with studs. It has that rocker-chic look to it. 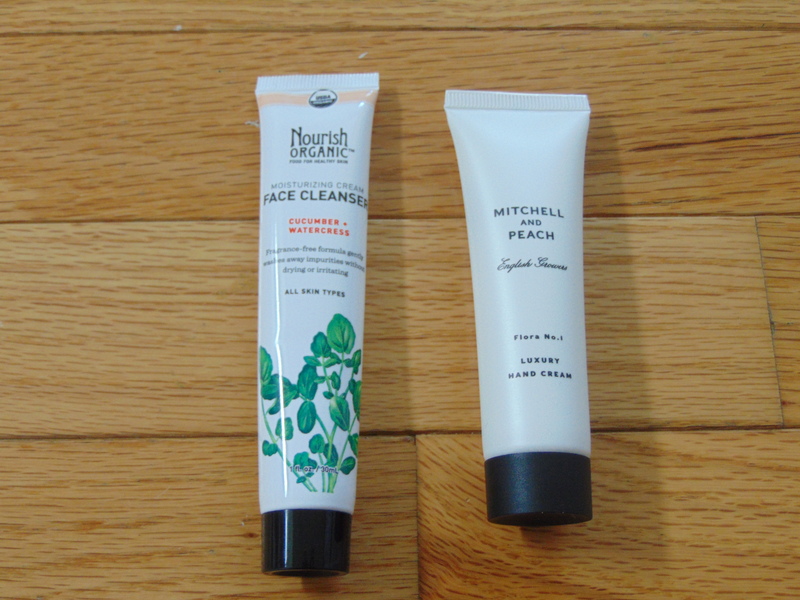 Nourish Organic; Face cleanser with cucumber & watercress. This is a nice face cleanser, leaves my face feeling clean and refresh. The scent is very minimal which is always good. Mitchell and Peach English Flowers; Luxury hand cream. I personally don’t like the smell. I can’t describe it other than hotels soap bars. What I do like is that its not greasy! I can not stand hand creams that are greasy, I feel like I’m rubbing French fries together. Crown Brush; Infinity shadow /crease duet brush. I love getting new makeup brushes. It’s something you always need, but never actually buy. 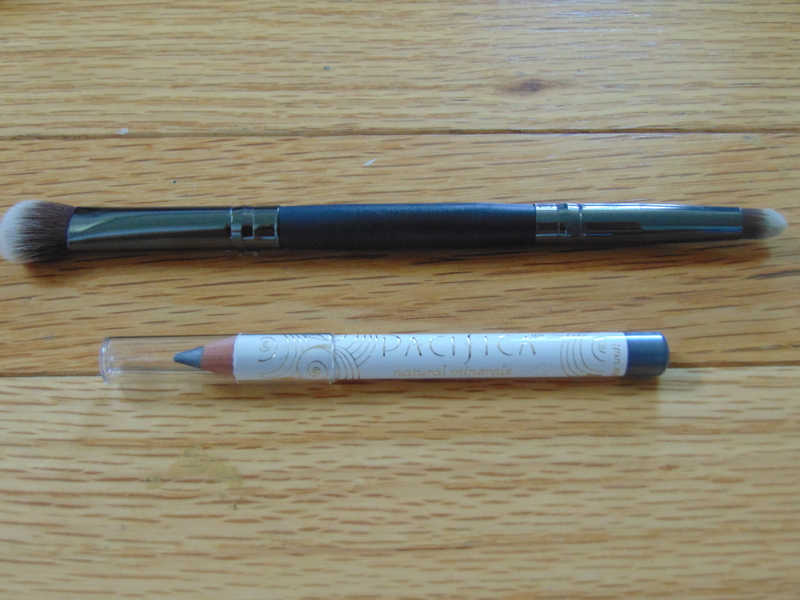 The brush feels super soft and I love the pencil end of the brush. 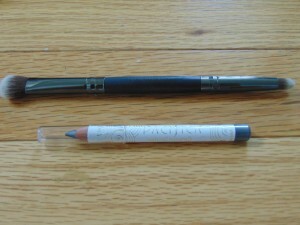 Pacifica; Natural water-proof eyeliner in gun metal. The color is a sliver-blue. I hardly use eyeliner other than black eyeliner for my waterline. But I would definitely use this one smoked out in my lower lash line. Cailyn; Art touch tinted lip gloss in love affair. 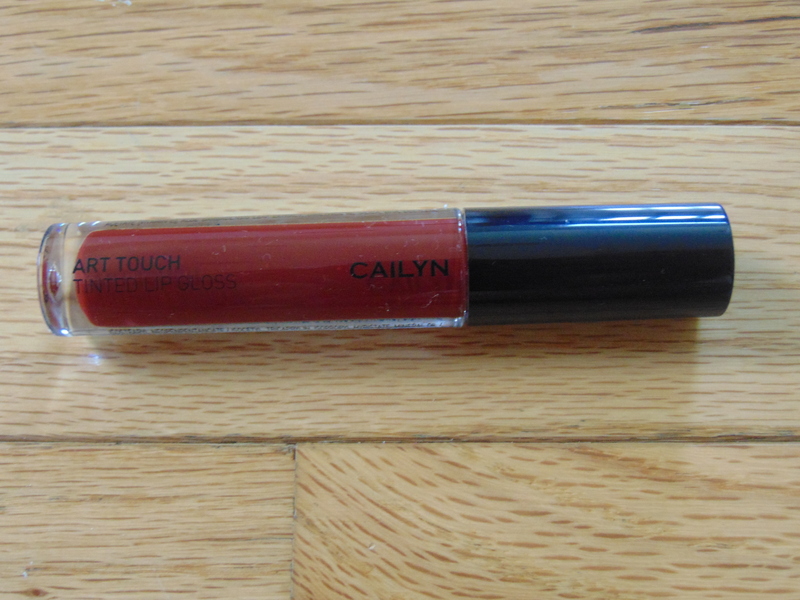 This is the prefect lip gloss in terms of texture, its glossy and not sticky. I wish the color was more vibrant though.